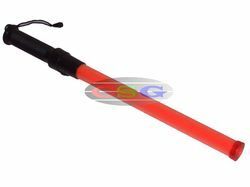 Pioneers in the industry, we offer traffic baton, led traffic baton, rechargeable traffic baton, traffic baton stop go and stop go rechargeable baton from India. Design LED Light Baton as per customer requirements and applications. We have over two decades of vast industrial knowledge and experience in producing superior quality Safety Baton. It uses "D" size battery - 2nos. 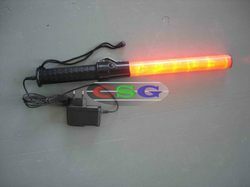 The basic materials used in manufacturing Signal Light Baton are well tested by our testing team to ensure its safety. Our engineers and the technical team also provide customised designs LED Light Baton as per customer requirements and applications. Advanced techniques are used to produce Traffic Safety LED Baton with precision. With more than two decades of experience in the field of Industrial Safety Products, we have emerged as a respectable leader for the supply of Traffic Baton. 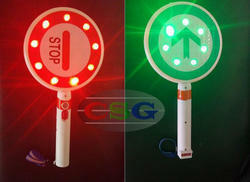 New models of this Traffic Safety LED Baton keep developing to produce higher quality products without cutting corner. 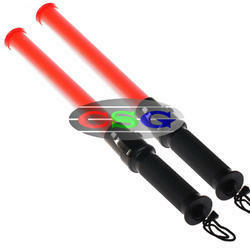 We are long-time established manufacturer, distributor, importer and exporter of Traffic Baton. Our Rechargeable Safety Baton is being exported to global regions out of Middle East, Africa, South Asia, Latin America, Europe, Bangladesh, Bhutan, Nepal, Sri Lanka and many more. Our Road Safety Baton follows industrial norms depending on the product. We have over two decades of vast industrial knowledge and experience in producing superior quality Stop Go Traffic Baton. • It uses battery - 3nos. Our engineers and the technical team also provide customised designs LED Light Baton as per customer requirements and applications.Advanced techniques are used to produce Traffic Baton with precision. 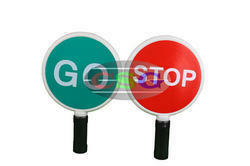 We are long-time established manufacturer, distributor, importer and exporter of Re-chargeable Stop & Go Traffic Baton. Bhutan, Nepal, Sri Lanka and many more.Our Road Safety Baton follows industrial norms depending on the product. Looking for Traffic Batons ?